I previously blogged (link here) about the Google Adwords trademark infringement lawsuit brought by language software company Rosetta Stone against Google. 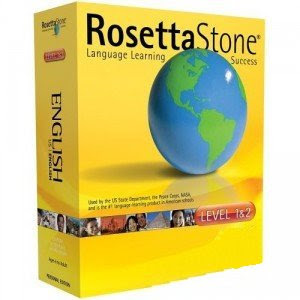 See Rosetta Stone LTD v. Google Inc., Case No. 09-cv-00736 (E.D. Va.). On April 28, 2010, the U.S. District Court for the Eastern District of Virginia granted Google’s Motion to Dismiss. A sampling of the new coverage on the decision from Reuters, Marketwatch, Cnet, and Washington Post. The order granting Google's Motion to Dismiss (link here) indicates that a memorandum explaining the basis for the decision will be forthcoming. We can’t wait. To be continued. . . .
Las Vegas-based Zuffa LLC (“Zuffa”), the company which owns the marks THE ULTIMATE FIGHTING CHAMPIONSHIP and UFC in connection with mixed-martial arts competitions, filed an in rem lawsuit in the U.S. District Court for District of Nevada against the domain name theultimatefighter.com. See Zuffa, LLC v. theultimatefighter.com, Case No. 10-cv-00582 (D. Nev. File April 21, 2010). A copy of the complaint can be downloaded here (HT: Steve Green). tank tops; shorts, headwear; workout and sports apparel, namely shorts and shirts (link here) – claimed date of first use January 2005. According to the complaint, Zuffa (and its predecessors-in-interest) began using THE ULTIMATE FIGHTER in 2003 in connection with a reality show named “The Ultimate Fighter” - although the complaint later acknowledges that the show has been broadcast on the Spike television network since as early as 2005. There is also a vague mention of some common law rights resulting from use of the name in connection with a Las Vegas gym where the reality show was filmed. Of course, the date when the mark became distinctive is relevant because it is only cybersquatting if the domain name was confusingly similar to a mark that was distinctive on the date of registration. The domain name in dispute was purportedly registered by Anton Resnick with the registrar eNom on January 22, 2004 (long before Zuffa’s aforementioned trademark applications). The domain name http://www.theultimatefighter.com/ currently is redirected to a Yahoo page dedicated to mixed martial arts. Zuffa argues that Resnick’s registration of the domain name http://www.theultimatefighter.com/ was a bad faith intent to profit from Zuffa’s trademark rights in THE ULTIMATE FIGHTER (i.e., cybersquatting). It is puzzling, however, why Zuffa waited over six years to go after Resnick for this so-called bad faith cybersquatting for a domain name registered six months before Zuffa had even filed the aforementioned intent-to-use trademark applications. Also interesting is that Zuffa owns the domain name http://www.ultimatefighter.com/, but WHOIS records suggest it was created only recently in January 2010. [DotWeekly ran an article in late March about the domain name acquisition by Zuffa from Marchex -- a company known for buying and selling domain names]. This Court has in rem jurisdiction over pursuant to 15 U.S.C. § 1125(d) and 28 U.S.C. § 1655 and interpretive case law. Upon information and belief, this Court cannot exercise personal jurisdiction over the registrant of, as the registrant is located outside of the State of Nevada and/or website is not interactive. As a separate and independent basis for in rem jurisdiction, upon service of this Complaint upon the registrar of , the registrar will deposit domain name into the registry of the Court. In addition, the situs of domain name is, or will be, in this judicial district where the owner of the trademark contained in domain name is located. Of course, see my previous blog post here regarding another in rem cybersquatting lawsuit filed in the District of Nevada (by the same law firm) citing the same jurisdictional argument as a basis for in rem jurisdiction. In that particular case, the plaintiff brought a Motion for Temporary Restraining Order, which was not only denied by the court, but which prompted the court sua sponte to dismiss the entire in rem action outright the very next day due to lack of jurisdiction under 15 U.S.C. § 1125(d)(2)(A). A copy of the court’s order in that case, which details the relevant "interpretive case law" quite nicely, can be found here. Nonetheless, by searching the domain names at issue in that case, it appears that just filing the complaint was enough to get the domains at issue transferred. And more than likely, that is the strategy being pursued here by Zuffa. 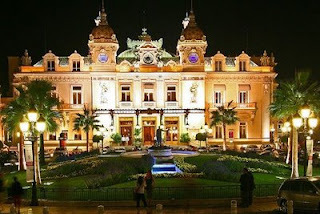 A New York District Court has determined that the owner of the Casino De Monte Carlo does not have enforceable trademark rights in the mark CASINO DE MONACO and has granted summary judgment in favor of a UK company that had been sued for trademark infringement and cybersquatting over its use of the name GRAND MONACO CASINO in connection with an online casino. See In re. Casino de Monaco Trademark Litigation, 2010 U.S. Dist. LEXIS 33950 (S.D.N.Y. March 31, 2010). Societe des Bains de Mer et du Cercle des Etrangers a Monaco’s (“SBM”) is the operator of all casino properties in the Principality of Monaco, most notably the Casino De Monte Carlo. Playshare PLC (“Playshare”) is a UK company that acquired an online casino that has used or is using various online designations including GRAND MONACO, GRAND MONACO CASINO, GRAND MONDIAL and GRAND MONDIAL CASINO and related domain names. SBM holds a U.S. trademark registration for the mark CASINO DE MONACO for “providing casino services within a hotel resort environment” which issued on December 20, 2005, under Section 44(e) of the Lanham Act based on SBM’s registration of the mark in Monaco but also with a claim of acquired distinctiveness based on Section 2(f) of the Lanham Act. SBM also has a second application pending for CASINO DE MONACO for “casino services” but that application (filed in the midst of the dispute at issue) has been opposed by Playshare. See Societe Anonyme Des Bains De Mer Et Du Cercle Des Etrangers v. PlayShare PLC, Opposition No. 91188636 (T.T.A.B. Filed Jan. 30, 2009). On March 21, 2007, SBM filed a Uniform Domain Name Dispute Resolution Policy (“UDRP”) complaint with the World Intellectual Property Organization (“WIPO”) against the approximately 65 domain names that Playshare acquired as part of the online casino it acquired which included the words “grand” and/or “monaco” with “casino” as part of a URL that led to Playshare’s online casino. In response to SBM’s UDRP complaint, Playshare made a decision to change the name of its online casino to GRAND MONDIAL and even registered the name as a trademark (although the opinion is not clear where the mark was registered and no records appear with the PTO). Despite the name change, SBM continued forward with its claims regarding the “monaco casino” domain names. On May 25, 2007, the WIPO arbitration panel decided in favor of SBM finding Playshare’s domain names confusingly similar to SBM’s trademark and ordered Playshare’s domain names transferred to SBM. See Société des Bains de Mer et du Cercle des Etrangers à Monaco v. Lucan Toh and Max Wright, Case No. D2007-0249 (WIPO May 25, 2007). On June 6, 2007, SBM sued Playshare alleging that Playshare’s use of the aforementioned names and domain names infringed its trademark rights to the mark CASINO DE MONACO, including even Playshare’s new name GRAND MONDIAL. On June 19, 2007, Playshare filed its own declaratory judgment action against SBM in Arizona district court seeking a declaratory judgment that its use of the domain names did not violate the Anticybersquatting Consumer Protection Act (“ACPA”) and that SBM’s registered mark for CASINO DE MONACO is invalid and unenforceable. The Arizona action was consolidated with the New York action and Playshare’s declaratory judgment causes of actions were treated as counterclaims. Both sides filed cross motions for summary judgment. The Court denied SBM’s motion and granted Playshare’s motion with respect to SBM’s claims and Playshare’s counterclaims related to CASINO DE MONACO. In the end, however, the court rejected SBM’s arguments and concluded that SBM’s activities in the United States relating to SBM’s mark CASINO DE MONACO did not constitute “services” within the meaning of the Lanham Act (services that are not “solely for the benefit of the performer” but rather services “rendered to others”). The court also rejected SBM’s attempt to conflate its CASINO DE MONACO mark with its more established CASINO DE MONTE-CARLO service mark. CASINO DE MONACO is not an actual casino unlike Casino de Monte-Carlo. The court also noted that “any secondary meaning that the mark CASINO DE MONACO can acquire vis-a-vis the use of the mark CASINO DE MONTE-CARLO is limited by the fact that SBM is in an on-going dispute with U.S.-based Victoria Partners over the Monte-Carlo designation when used with the casino business. Without some resolution, the mark CASINO DE MONTE-CARLO can be reasonably construed as not “identifying a single source of origin.” (italics in original). [For prior blog posts on this ongoing dispute, click here and here]. However, regardless of SBM’s intent, which is disputed, SBM has not used the mark in any meaningful way anywhere. And SBM has not shown that it has used the mark in the United States at all. SBM argues that its “U.S. based direct sales activities represent ‘material aspects’ of SBM’s casino business...and thus are properly considered ‘services...rendered in commerce.” for SBM’s mark CASINO DE MONACO. However, the record is devoid of evidence that would create a genuine issue of material fact that SBM uses the mark CASINO DE MONACO to identify its services, anywhere, but particularly in the United States. First, there does not exist in Monaco, or anywhere else, a casino identified by the name Casino de Monaco. Nevertheless, SBM asserts that the mark CASINO DE MONACO is: (1) used as a nickname or moniker for Casino de Monte-Carlo; (2) employed on casino website(s); and (3) an umbrella term/brand to refer to SBM’s five casinos in Monaco. However, all that SBM can show to support these representations are self-serving affidavits. Even if this claimed use of the mark CASINO DE MONACO was not insignificant on this record, which it is, all of its use of the mark occurs outside of the United States. There is no real evidence that the claimed nickname/moniker/umbrella term that signifies CASINO DE MONACO has ever existed in the United States. (internal citations omitted) (emphasis in original). Furthermore, regarding the one example that SBM could show of use in the United States of the mark CASINO DE MONACO on SBM’s own website, it turns out that such webpages were created on or after April 14, 2008 (almost a year after the lawsuit was filed) and SBM did not show any evidence that anyone in the U.S. ever viewed the pages. The court added that “[i]t does not bolster SMB’s [sic] position that all activity SBM engages in the United States amounts to nothing more than advertising and promotion of SBM’s operations outside the U.S., i.e., in Monaco. What is clear is that there is no evidence on the record that this limited activity ever implicated the mark CASINO DE MONACO.” (emphasis in original). The court decided that SBM’s “utter lack of use of the mark CASINO DE MONACO anywhere, let alone in the United States,” required it to refuse to enforce any purported trademarks rights by SBM in the mark. Accordingly, the court did not have to engage in any likelihood of confusion analysis. The court did find enough limited activity to protect SBM’s purported right to the unregistered mark CASINO DE MONTE-CARLO because SBM actually utilizes that mark in the United States – but since SBM’s complaint did not allege any infringement of this mark, such rights were irrelevant for purposes of deciding the motions. Based on its determination that SBM held no enforceable trademark rights to the mark CASINO DE MONACO, the court granted summary judgment on Playshare’s declaratory judgment causes of actions direct to SBM’s CASINO DE MONACO mark. The court found SBM’s trademark registration for CASINO DE MONACO invalid and unenforceable and ordered it to be canceled. The court further granted Playshare’s Motion for Summary Judgment on all of SBM’s federal claims based on the CASINO DE MONACO mark (and choosing to dismiss all state claims by declining to exercise supplemental jurisdiction). Moreover, the court declared that Playshare’s use of the designations GRAND MONACO, GRAND MONACO CASINO, GRAND MONDIAL CASINO and GRAND MONDIAL does not infringe on SBM’s (now cancelled) mark CASINO DE MONACO. Finally, because SBM’s entire basis for its cybersquatting claim was based on rights to the mark CASINO DE MONACO and since the mark was found invalid and unenforceable, then, as a matter of law, Playshare cannot be in violation of the ACPA with respect to its domain names. The court vacated the WIPO decision and ordered the domain names to remain with Playshare.